Pakistan and the United States are old allies that struck a strategic partnership in the defining years of the Cold War, in the early 1950s. Pakistan, for its own strategic and security reasons, decided to discard a sterile concept of neutrality and chose to make gains by taking sides in the then emerging polarization on the international stage. The changes in world affairs, particularly in the structure of global power relations, inevitably forced the two partners to reassess their respective priorities. However, the foundation on which security relations were established has not only survived, but also proved to reshape two more strategic alliances between the two. Even in difficult times, military-to-military relations have remained robust, often influencing political administrations. It was the residual influence and long history of strategic and security cooperation that shaped the second partnership (1980-88) to defeat the aggression of the former USSR against Afghanistan. Pakistan became a front-line state in support of the Afghan Mujahedeen factions that eventually forced Moscow to negotiate and withdraw its forces. The resistance achieved remarkable success in getting the Soviet forces out, but failed to achieve much needed political reconciliation, stability and security. While the US turned to more important national and global issues, Afghanistan plunged into chaos, as a power struggle among the Mujahedeen factions intensified. They made a big mistake in not remaining engaged in Afghanistan to reconstruct its polity and rehabilitate its refugee populations and the militants they had trained, equipped and sponsored. The collapse of the Afghan state created a security vacuum in which warlords, transnational militant groups and regional powers became engaged in a fierce power struggle. The Taliban movement that Pakistan supported emerged in the chaos and disorder, which was countered by a broad alliance of ethnic minorities from the north. While Afghanistan was in a state of civil conflict, Al Qaida and its local affiliates found a base to target countries in the Middle East, Europe and North America. 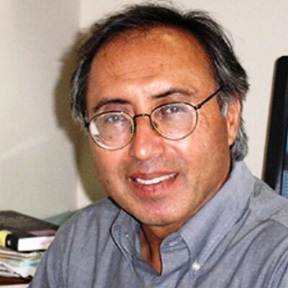 Security cooperation between Pakistan and the US was at a low level until the events of 9/11 that shook Washington and changed the region and the world in many important ways. For the third time, Pakistan and the U.S. became strategic partners: this time, to remove the Taliban regime and rebuild a new Afghan state. While Afghanistan once again became a common concern, the views of Pakistan and the US have often diverged on war and peace in this country. The tragedy of great powers is that they have been effective in intervening and ousting governments, but hardly successful in rebuilding a nation or a state they destroyed in the first place. In their arrogance, they have always underestimated the power of society to revive and rebuild resistance. That is one of the reasons why Afghanistan had been called a ‘graveyard of empires’. From the very beginning, Pakistan has supported the view that a political settlement with the Afghan Taliban would open up better prospects for peace and reconciliation than the continuation of war. For more than a decade, Washington not only rejected this view, but also insisted on Pakistan to ‘do more’ in supporting the U.S.-led war efforts to ‘eliminate’ the Taliban. A number of Afghanistan policy reviews over the past 17 years have pointed fingers at Pakistan for “sheltering” Taliban leaders and providing them “sanctuaries.” There have been many ugly episodes that contradict the notion of friendly, and even collaborative relations between the countries: the attack on Pakistani forces at Salala and the secret operation to eliminate Osam bin Laden in Abbottabad being just two examples. However, each time, relations touched a new low of distrust, there were fresh efforts to repair them owing to multifaceted security cooperation in Afghanistan. Washington’s unilateralism in Afghanistan and a new strategic partnership with India, giving space to Pakistan’s arch-rival in Afghanistan, worked against the spirit of security cooperation. Pakistan has consistently complained about India using bases in Afghanistan in support of terror networks. There is also evidence of Afghanistan’s intelligence agencies funded by the US extending sanctuaries and support to terrorist outfits operating in Pakistan. While Pakistanis feel that they have sacrificed so much in the ‘war on terror’ by having lost 60,000 civilians and 15,000 security personnel, the Americans focus on what Pakistan could possibly do and hasn’t done than on what it has in assisting the US’ war efforts. Such a wide divergence naturally contributed to distrust, misunderstanding and review of policies in both the capitals. The good thing is that relations have survived the difficult political and security challenges they have encountered in the region. Even in the bleakest of moments between the two countries in a very difficult climate of the stalemated Afghan war, there has been a realization that peace and rebuilding Afghanistan are in the best interests of the two countries and the larger Middle East. During the past few months, we have seen Islamabad and Washington showing better understanding on and working more closely toward a negotiated settlement with the Taliban. What has made this possible and what are the prospects of reaching a peace deal? There appear to be some fundamental changes in the US and Pakistan’s perspective about Afghanistan. It seems Pakistan has finally decided to approach Afghanistan through Kabul, and not through anti-regime militant factions, as it has in the past. In doing so, it has sent a message to the Taliban that it cannot count on Pakistan anymore to continue its war against the Afghan government forces. While it favors a settlement that will include the Taliban in the future power structure of the country, it has minced no words about rejecting any policy of militants’ conquest of Kabul. Equally important is the fact that Pakistan has taken many measures to reassure Kabul of its sincerity and seriousness to eliminate distrust that has largely defined relations between the two countries. This is what the US had been expecting from Pakistan—to nudge the Taliban toward the negotiating table and end whatever alleged support it has been giving to their militancy. Another development is that the US is too eager, rather desperate, to pull its forces from ‘endless’ wars of Afghanistan and the Middle East. Afghanistan’s has been the longest war in American history, and the most ‘futile’, wasteful and unnecessary one. Disengaging American forces in a responsible manner and with face-saving requires Pakistan’s cooperation, which Islamabad for its own reasons—economic, social and political—is equally eager to extend. After a flurry of high-level visits to Pakistan and the appointment of Ambassador Zalmay Khalilzad as a special envoy, three rounds of talks with Taliban have already been conducted and more are in the works with Pakistan, Saudi Arabia and the UAE playing a supportive role. Prospects for ending the war and establishing peace in Afghanistan have never been so visible and the objective as reachable as it appears to be today. 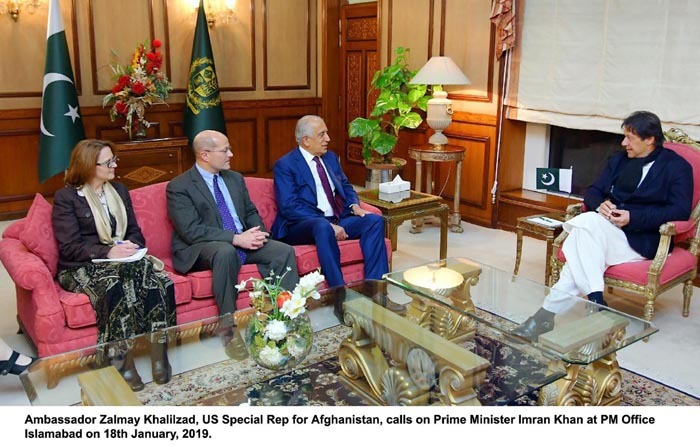 Leaving the rough patches of relations in the past, Pakistan and the U.S. have a fresh opportunity to stabilize Afghanistan and move their relations beyond a third-country factor. Both will benefit immensely from peace and stability in Afghanistan.